I LOVE Ned Vizzini, though I will say that Be More Chill is my least favorite book of his. (And even then, it’s still pretty good. I like the awkwardness (who puts a chocolate Shakespeare bust in their pocket?) and Jeremy is a teenage boy, so him being cringe-worthy and awful is kind of par for the course? I heard about the musical through a friend and have yet to listen to it, mostly because I usually don’t like adaptations of books… Maybe closer to when it premieres off-broadway. I suggest you read any of Ned Vizzini’s other books: Teen Angst… Naaah, It’s Kind Of A Funny Story, and The Other Normals – all of them have that “coming-of-age” feel to them, but I feel all the others are better at conveying a message. 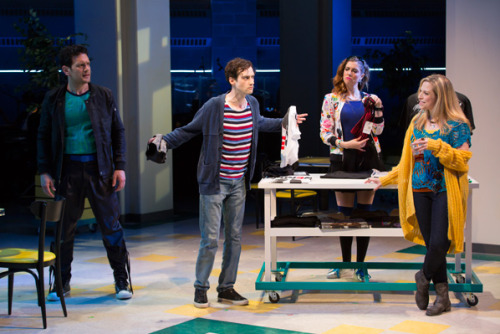 Based on the fact that you liked the idea of the squip/sci-fi-fantasy elements in the Be More Chill book, I’d recommend starting with The Other Normals. I feel like there’s a difference between awkward and cringe. Jeremy was cringe, Michael was awkward. Thanks for recommending Vizzini’s other books, I’ll check them out! I unfortunately missed the musical when it had its premiere a few years ago. I am so thrilled it’s finally going to play off-broadway this summer. I definitely hope to finally see it. I heard great things about it. I love book adaptations. But since I want to see the show, I’m going to try to see that first and then read the book as to avoid any spoilers, lol. Personally I loved the book and even though yes, Jeremy is pretty cringy I think that just makes the book even better! I was so in love with the book(I had watched the musical before hand btw)and was really hoping for an awesome ending but I think the ending was extremely abrupt and could use some effort. 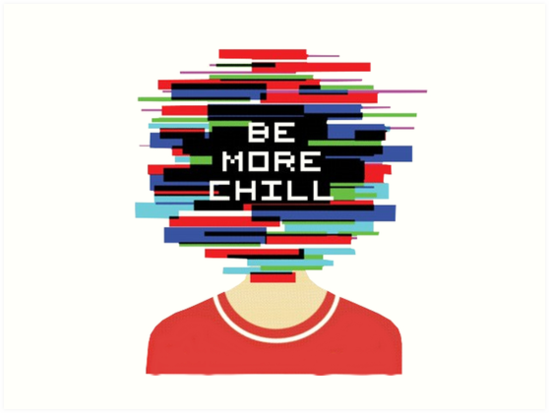 But other than that I highly suggest watching Be More Chill and reading the Be More Chill book because both are very good. I’m glad you liked it. I do think there is a degree of interesting-ness with having a main character who is so unlikable, so kudos to the author for that.